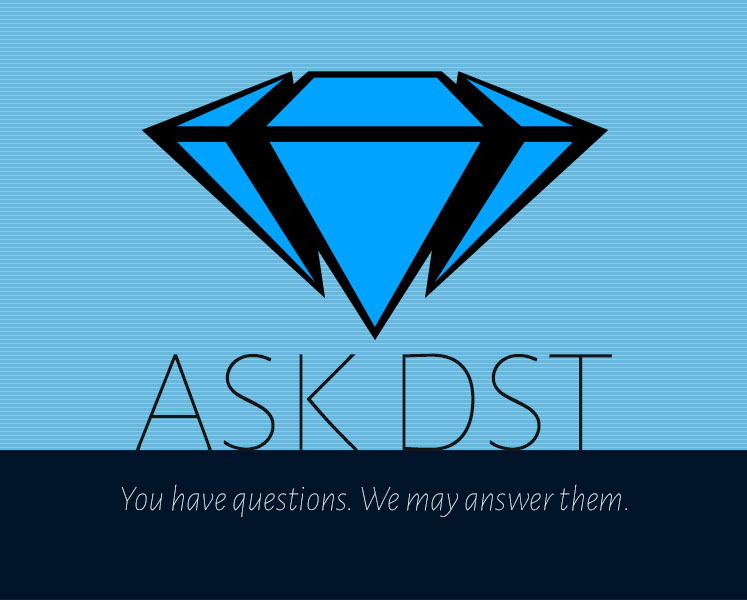 It’s a new ASk DST, and Diamond Select Toys president DSTChuck is fielding your questions about Minimates! He’ll discuss Minimates of Marvel and Beetlejuice, answers questions about Minimates format and retail locations, and even hears a few licensing suggestions from fan. Submit your own questions in the drop-down menu up top, or e-mail DSTChuck! 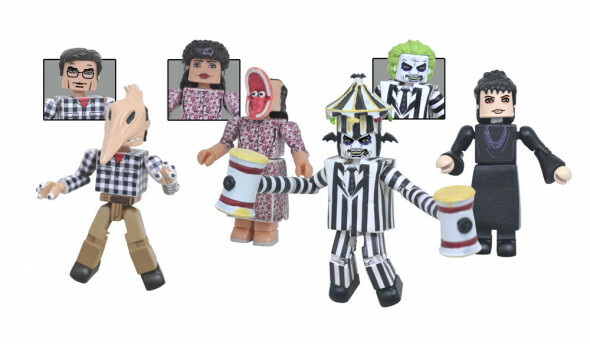 I love the first series of Beetlejuice Minimates and Vinimates, any chance we will see another release of more characters/ figures from the movie? The afterlife waiting room has lots of interesting characters that would be fun! DSTChuck: Right now there are no more planned, but we have not ruled it out! Hello DST, is there any possibility of Avatar the Last Airbender Minimates? DSTChuck: Sorry, we have no plans to pursue Avatar right now. Will there ever be Minimates for the Agents of SHIELD show? Also, how many sets can we expect for Infinity War and when will they be revealed? DSTChuck: We have not ruled out doing something for SHIELD, but we are not able to talk about our A3 product yet. Why don’t stores such as Target or Walmart sell Minimates? Can we expect this to change in the future? DSTChuck: We have pitched those retailers several times, and right now the line does not fit into their plans. Will you consider creating the Stikfas figures based off the Minimates you sell? DSTChuck: Sorry, we have no plans right now for anything like that. Hi Chuck, would it ever be possible to get Marvel Minimates in retro-inspired packaging, like 90’s Toybiz or something similar? DSTChuck: There are several package restrictions we work with, so I am not sure how close to something like that we could get, if we wanted to ever try. But it would be pretty cool! Submit your own questions in the drop-down menu up top, or e-mail DSTChuck! 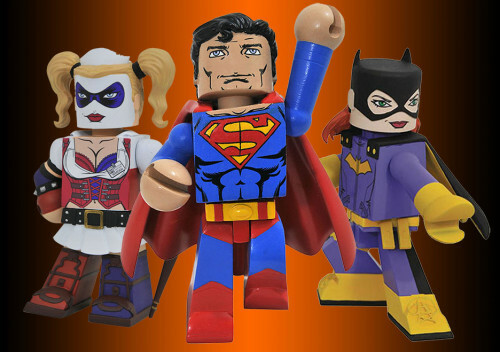 Next Up: New DC Vinimates Hit Comic Shops, More on the Way!